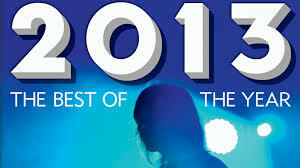 Best Songs of 2013 – music. travel. repeat. 2013 was a solid year across the board in music. I found myself enjoying a number of new independent, rock, dance and country artists predominantly, although was disappointed by what was put out in the hip hop world. My top songs of the year seem to reflect that. Check out the 8 songs that were stuck in my head and on repeat on my phone throughout 2013 and let me know what yours were. Also, if you want to listen to these tracks in Spotify just follow my Best of 2013 playlist. My username is pgriff1130.